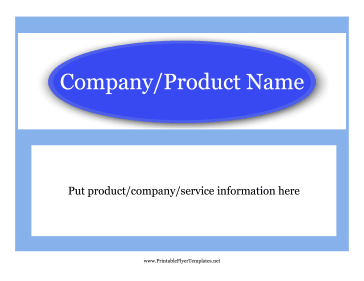 A blue flyer with pre-formatted spaces to customize with details about a product, service, or business. This Printable Flyer Template is a free download. Available in .DOC format, just download it, open it in Microsoft Word (or another program that can display the DOC file format,) and print.